We’ve reached the end of the year, and it’s time for the Annual Golf Car Guide. We’ve compiled a list of market leaders along with detailed information on each. To tie in with this year’s guide, our special feature on page 26 about adaptive golf therapy illustrates how golf cars are for more than just recreational and commercial use. The trade show season starts with the PGA Merchandise Show. To help you plan your visit, we have created a pre-show planner with all of the information at your fingertips. see a small sampling of what the show has to offer industry professionals. Next Issue… Take a look at the winners of our tenth annual Custom Golf Car Contest. This is always a fun issue, and it’s amazing to see what dealers create. 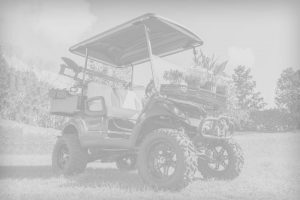 Golf Car News is thrilled to provide you with the latest information on golf cars and accessories and the current trends in the industry. We look forward to bringing you valuable information and also look to you for other ideas. If you have a story or feature that you think other golf car dealers would enjoy or benefit from, please submit it to info@golfcarnews.com, and we’ll consider it for insertion. Be sure to follow us on Facebook @GolfCarNews!